Ultimate bliss with the cute collectibles – leaping into trolleys all over the globe! Reading, sticker play, fun facts: this pack has it all. A must for your shopping cart. Get the lowdown on each Shopkin in the updated collector’s guide, which includes a fab poster. 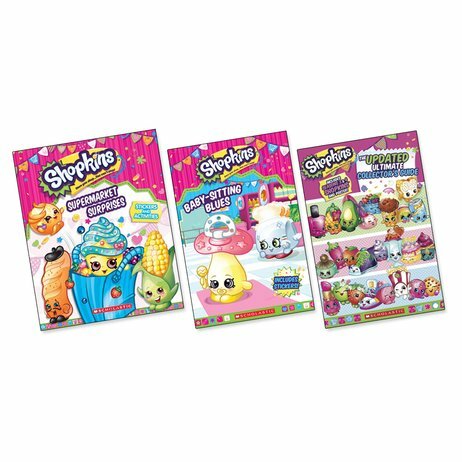 How well do you know your Shopkins friends? Then read a super-cute Dum Mee Mee story, or play sticker games in Supermarket Surprises. Rock out in the Small Mart aisles.